"it’s quite something to behold"
"it grips, it stirs, it delights"
Harry Potter and the Cursed Child is the multi-award-winning eighth instalment of the beloved Harry Potter series, imagined by Jack Thorne, John Tiffany and J.K Rowling. Following Harry as he balances his Ministry of Magic job with being a husband and father of three, we see his youngest son Albus struggle with the legacy of the Potter name. Soon, both father and son discover that darkness can come from the most unexpected of places. Harry Potter and the Cursed Child reunites Jack Thorne, John Tiffany and movement director Steven Hoggett, who achieved great success with Let the Right One In. 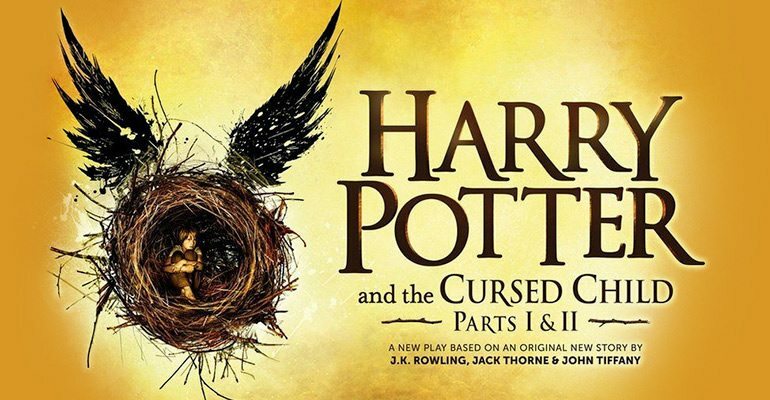 Starring Jamie Ballard as Harry, Thomas Aldridge as Ron and Nicola Alexis as Hermione, Harry Potter and the Cursed Child features a dazzling set by Christine Jones and breath-taking, magical special effects from Jeremy Chernick. The theatrical event of the West End, you cannot miss out! Harry Potter and the Cursed Child is suitable for ages 10 and up. Babes in arms will not be admitted into the theatre.